Here are 5 wonderful things to do in the Overberg this weekend. Celebrate the end of harvest in the beautiful Elgin Valley, go and watch Johnny Luck at the start of his tour in Pringle Bay and Hermanus (for FREE), go dancing in Swellendam at the Barrel and Blues or enjoy a lazy day at the only weekly Sunday market in the Overberg. And remember to look out for the Penguin Promises Waddlers next week. 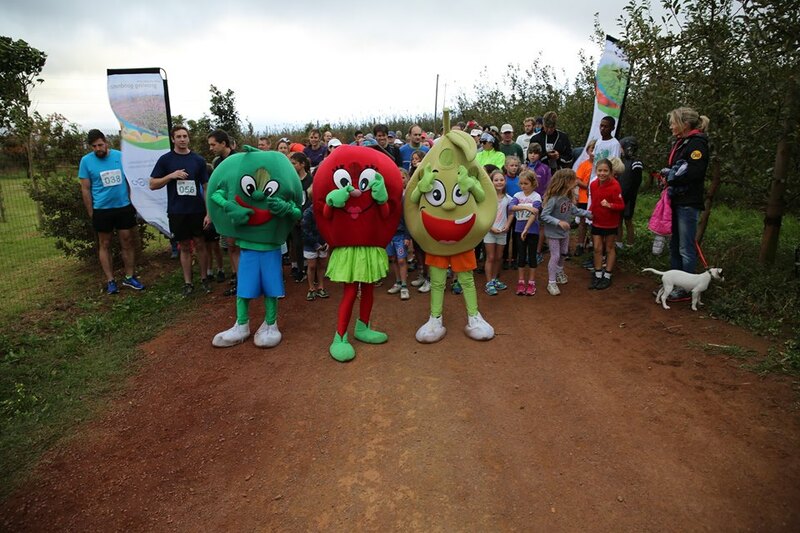 It’s time for the The Applewood Harvest Festival and Tru-Cape Fruit Trail Running Challenge. All fresh air fitness enthusiasts, outdoor lovers, adventurers, foodies, grannies, grandpas, aunties, uncles and children gather to eat, drink, play for eating, drinking, playing, run and generally have fun family time at this festival that celebrates the end of a busy Harvest Season. The Applewood Harvest Festival is filled with apple-themed activities and the best of Elgin’s gourmet artisanal and farm-grown produce. Expect fine fare from local restaurants The Poolroom, Hickory Shack and Peregrine (to name a few) and the best of craft cider and Elgin wines. Master an apple tasting, buy apple pies and apples by the bag and let the children run free. There will be lots of entertainment for both young and old from live music to hay-diving, zip-lining and apple bobbing as well as loads of beautiful crafts and goodies from local artisans. The Tru-Cape Trail Run offers both an 11km trail through the beauty of the surrounding farmlands, or a more gentle 5km Fun Run. The scenic courses will take you though the apple and pear orchards that surround this beautiful country based school. The 5km Family Fun Run starts at 09h00. Langarm – dance like Everyone’s watching! If you’re in Swellendam – put on your dancing shoes and head for the Barrel and Blues. Back – by popular demand – after the first hugely successful event – Langarm with Frans the DJ. Jonny Luck pours the first round of his “Liquor Cabinet Tour” in the bar with another foot-stomp’n party of note! Jonny is a Singer/Songwriter from Cape Town, specialising in his own style of Folk Booze Blues, cultivated from years of barwork. Hidden behind an acoustic guitar and a dirty voice, he mixes a blend of whiskey soaked blues and fresh upbeat folk. This story teller will have you reminiscing of misspent youth, new love and those nights spent drinking at your local watering hole. He is a one man show incorporating earthy guitar rhythms, passionate harmonica lines and a worn in soul voice, all backed by the drive of a stomp box. Get Jonny Luck’s first official EP, “The Seasons Will Change: The Cooling Seasons” recorded at Popsicle Studios by the incredible Raiven Hansmann and featuring Landi Degenaar (The Betsie Beers) on banjo, mandolin and backing vocals ~ right here. This is, as far as we know, the only weekly Sunday market in the Overberg at the moment. And it is a wonderful way to spend a Sunday. With 30+ stalls, including Just Pure and Daly’s for skin, body and beauty, Africa Molato and Ladeez with locally manufactured clothing, Goodiez, Gabriel Wireworks and African Bead Craft included in the arts and crafts, the market is putting its best foot forward to impress. Jaxx’s Hats with her own knitted funky creations, Pangolin Designs with pewter art work, Crafty Cloth with hand painted table cloths and Homegrown with laser cut craft add to the local crafters inspirations on offer. Enjoy local wines at the Fisherman’s Cottage Wine Bar, or indulge in select craft beers. With Dunya Cake delights, Ann’s Kitchen and Annies Home Made Pies, just to mention a few, you won’t go hungry. It’s time for the Penguin Promises Waddle. Take a look at the map. See when the waddlers will be waddling through your town and set a reminder so you can keep an eye out and hoot or cheer them on. Sixteen waddlers will be walking more than 120km to create awareness for the plight of the endangered African penguin. Yes – they may be extinct in just 6 years! Join the walk or make sure to hoot as you drive by. Take a pic of the waddlers and post it with #Waddle2017 to show your support.